Well I'm super excited! It's about time we had a solo female lead. And an eventual secret invasion movie in the mcu now that they have the skrulls could be pretty amazing. The hell? Why isn't the teaser being shown elsewhere online? Trailer is a fan trailer from a month ago, I think. Oh bugger... sorry, I'll take it out till the real one shows up! 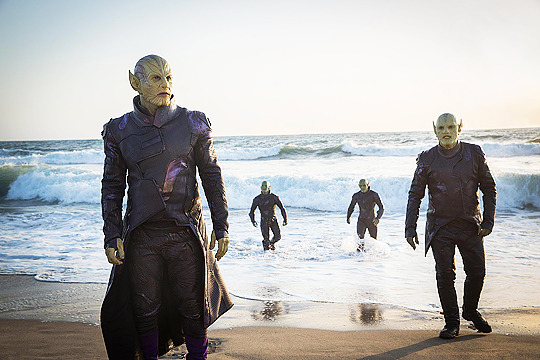 Skrulls coming out of the surf like they're about to flail over a beach party. No way. Their nails aren't large enough. A Reman's nails are so large that it takes them five seconds to press two buttons. Placing my bets now that Maria is Monica's mom, giving them room to add her in later down the line if they choose. I think it's been confirmed. Since the movie is set in the 90s, it'll feature Monica's mom. Monica will appear in the present day. Talos the Untamed? Huh, not a callback I was expecting. What are they saving the Super-Skrull for? Duh, already forgot that they got the rights back in the deal. Though I was kinda hoping they might have been planning on a MCU version of Annihilation somewhere along the way, that would have worked too. 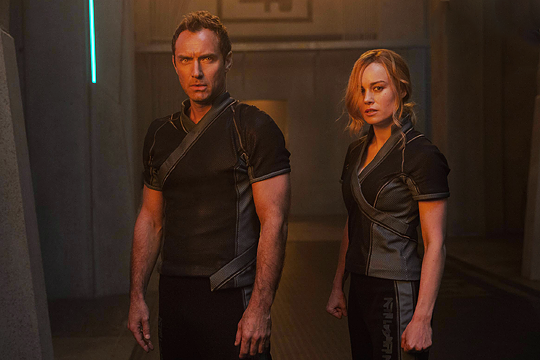 Can't wait for the second-act reveal that Jude Law's character's Yon-Rogg. Skrulls look so frigging CUTE. everything about this fills me excitement and wonder. 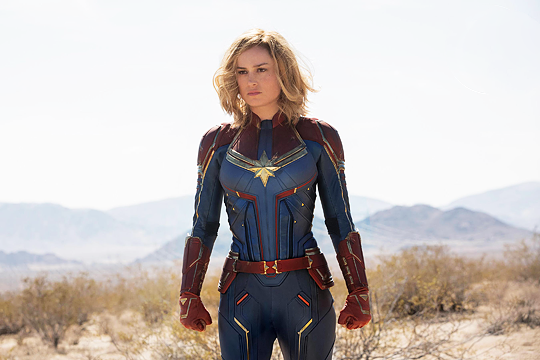 Ive become so divided on the shared aesthetic of the MCU costumes. Kinda wish they'd have more diversity in their design, but the similar designs emphasize the shared universe aspect. 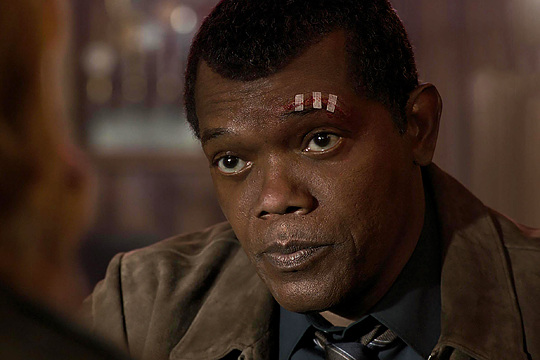 Does Sam Jackson ever age?? Word. I mean, go watch "The Hitman's Bodyguard". If not for, erm, the entire rest of the cast you could easily imagine it to be the fun two-years-later sequel to "Pulp Fiction". The former made me laugh a lot, but I can see where people might not like it. Nick Fury with a forehead wound? Want to bet someone tells him to be glad he didn't lose an eye (or something similarly ironic)? Looking at the photo I was almost expecting him to just pull at a zip and reveal an eyepatch just underneath. Dr Doofenschmirtz 1 - You know, I can't help but notice that your scar goes over your eyepatch. Dr Doofenschmirtz 2 - Yeeeeah...? Dr Doofenschmirtz 1 - Nothing! DC finally beat the MCU out at something with Wonder Woman and the first female director of a superhero movie, but I hope Carol does well. 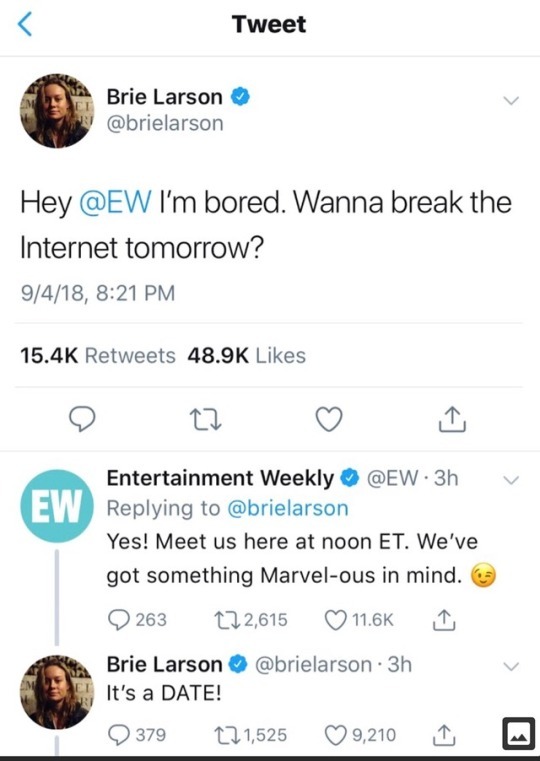 I'd like to see a Black Widow movie, too! 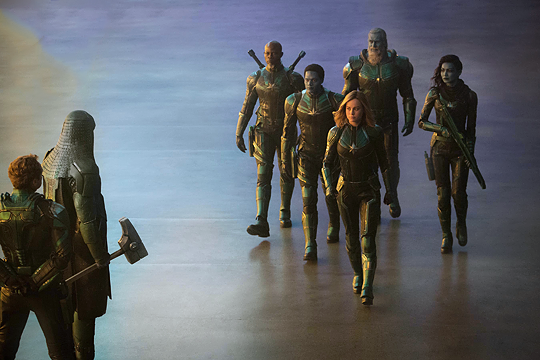 From elsewhere, it looks like Carol's team up there includes Korath (from Guardians of the Galaxy Volume 1), Att-Las (Captain Atlas), and Minn-Erva (Doctor Minerva), so hey, familiar faces and people connected to Carol's history. Disney's really got a swagger in its step about that nifty CGI reverse aging technology they've got now. They love trotting it out. 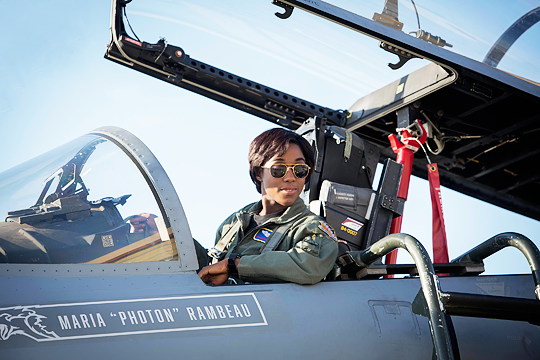 Decide for yourself how throwaway that is in the movie Captain Marvel. He's also the subject of a bet I've got on for Avengers: Infinity War, so I'm invested in what happens to him. it's his costume that Cull Obsidian/Black Dwarf was wearing in Infinity War, not Carols. Yeah, he's a throwaway. He'll die, and she'll take the mantle. Waste of a perfectly good actor. 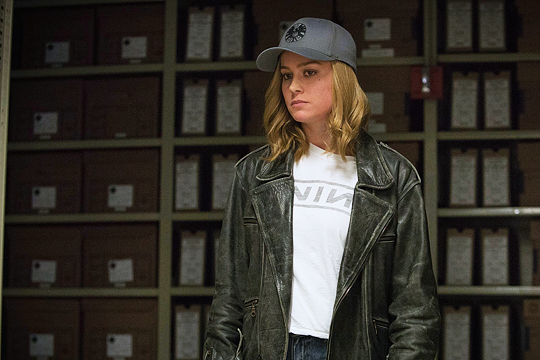 Brie as Carol looks fantastic. My money is on (highlight for spoilers, just in case Cap biting the dust in Avengers 4, which prompts Tony to retire from superheroing (while still available to make cameo appearances, naturally), and Bucky picking up the shield--and he and Sam teaming up to fight bad guys, they have an amazing buddy-cop friendship dynamic--while Carol leads the new new Avengers. So far this is giving me good vibes in that direction. ...I would vote in Danny Pudi as Reed Richards. If only because he already looks half-stretched-out. But Danny Pudi was already a SHIELD agent in Captain America: The Winter Soldier. (My headcanon is that in the Community-verse that was actually Abed Nadir playing that role). Really interesting appeal here. 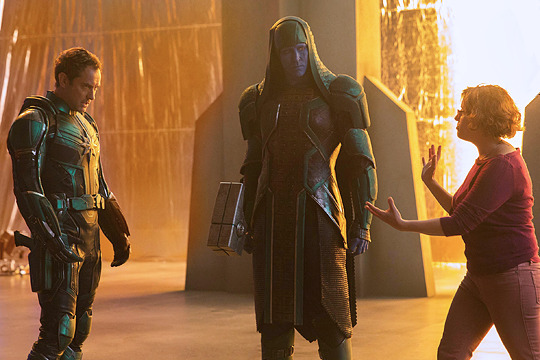 After months of dreading it, I'm happy knowing Carol's outfit is the real deal (and her Kree outfit looks to be used with the Starforce people). From a design perspective, the Skulls seem pretty real, though I can understand people not liking the design. And the seeds for Monica rambaeu - so cool!